From time to time the Texas Retired Teachers Association (TRTA) previews its news bulletin, The VOICE. Below you will find excerpts from an article on how TRTA is working to preserve TRS-Care and provide the best health care options for retired educators. TRS–Care has provided health care coverage for hundreds of thousands of retired educators and many dependents for more than three decades—a much needed benefit for those who dedicated their lives to school children and who live on modest fixed incomes. Legislative changes in 2017 resulted in a plan that does not always fit all needs for all plan participants. 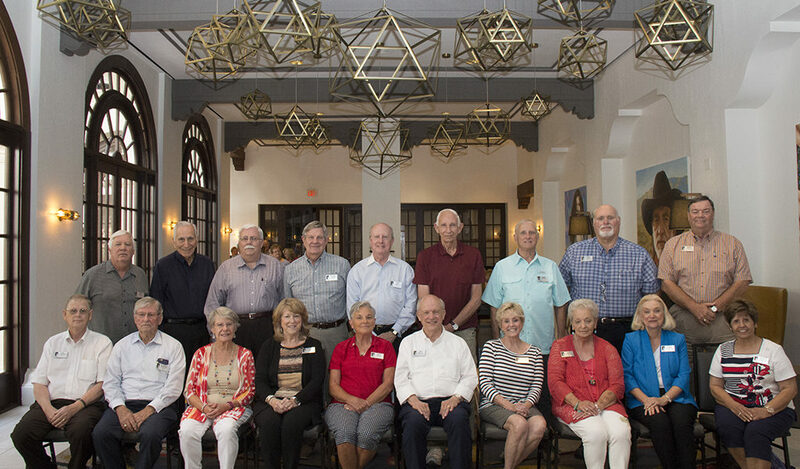 The changes to TRS–Care last year created a difficult situation for many Texas public education retirees, not just for plan participants, but also for the Texas Retired Teachers Association (TRTA) and legislators. Previously, TRS–Care offered multiple plans to choose from. Now there’s one (each for over 65 retirees and for under-65 retirees), and that one–size–fits–all plan doesn’t work for every retiree or dependent. This new reality is motivating some TRS-Care participants to consider the individual Medicare marketplace where health care options vary widely. More than 37,000 TRS-Care participants left and enrolled in an individual plan in 2017. Since then, many TRTA members have told us that a local broker has advertised that they can offer members a lower rate and better coverage than the current TRS–Care plan. Members have asked us if that is true and, if so, is TRTA offering any sponsored, trusted program to evaluate alternative options to TRS–Care? Whether TRS-Care is right for you depends on your individual needs. In an effort to help our members, we’ve taken an in-depth look at TRS-Care, and you will find this information in the upcoming edition of The VOICE. Due to our members’ demand for TRTA to find a trusted partner in the individual Medicare marketplace, we are proud to announce our partnership with Via Benefits Insurance Services brought to you by our benefits partner AMBA. Does that Mean TRTA is in the Insurance Business? Is TRTA Competing Against TRS-Care? No, TRTA is not in the insurance business. We are not competing with TRS or TRS-Care. We are working with Via Benefits to provide a marketplace of Medicare policy options to retirees over the age of 65 with both Medicare A and B coverage. We’ve developed this plan because TRTA represents the entire population of TRS retirees. Prior to the changes to TRS-Care, there were many TRTA members in the individual Medicare marketplace. Since the changes, that number has grown significantly, and all of these members are looking to TRTA for a trusted partner to work with. That tells us a lot of people need help with their Medicare options. TRTA’s number one priority is helping public education retirees. We’re leveraging our membership size with Via Benefits to offer something that our members can use and that no one else can deliver. Via Benefits is a trusted benefit partner with organizations in the states of Ohio and Nevada, and with large private employers like General Motors. TRTA is the largest retired educator organization in the nation and we are offering a marketplace driven solution for those who need it. What do you say to someone considering the individual marketplace? The first thing I tell them is to stop and evaluate their position. If you leave, you can’t come back. If you’re a dependent, and you’re saying that you need something else, then I would look to a marketplace solution that’s very transparent. But first you should talk to TRS for consultation. If the issue with the health care is purely about cost, then you can compare TRS–Care to the marketplace. If there’s another reason, then I suspect that a lot of those issues can be resolved by working with TRS. If you decide to leave TRS–Care, work with a partner that you can trust. TRTA has searched all over the country for a group we believe represents our values and expectations when working with a retiree or dependent who needs a plan in the individual Medicare marketplace. TRTA supports TRS–Care as the best first option for retirees. Via Benefits is the oldest and largest private Medicare marketplace that will, at no cost to you, review your health care plan to ensure that you have the coverage that is right for your 2019 needs and budget. They do this by comparing your current coverage and anticipated needs to the coverage offered by the leading national and regional plans available in your area. They offer a selection of affordable and competitive plans including Medicare Advantage, guaranteed issue Medicare Supplement Insurance (Medigap) and Medicare Part D Prescription Drug plans. A 15–minute conversation with a Via Benefits licensed benefit advisor will help you understand whether an individual Medicare plan is a better fit—offering equal to or better coverage for less cost. These knowledgeable advisors have helped more than 1.8 million retirees find coverage that meets their needs and budget. Is TRTA Recommending this Over TRS–Care? We know your health care options have changed. Everyone’s situation is unique. For many, TRS–Care is still a great option. For others, TRS–Care does not fit as well as it once did when there were more plan options. 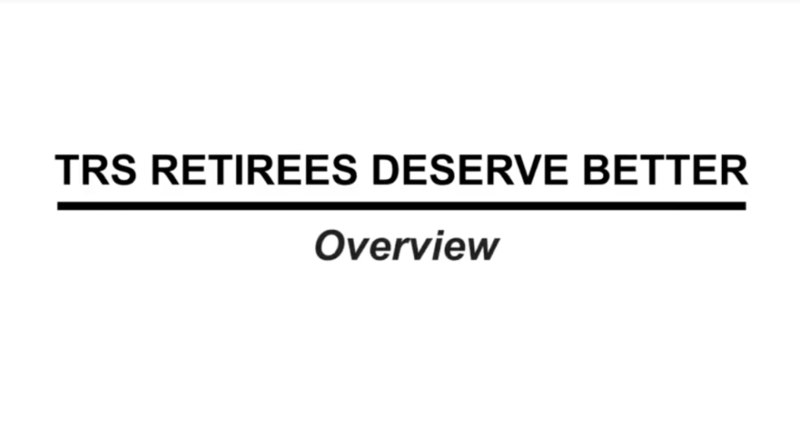 We want what is best for every TRS retiree. If you are a TRTA member and you want an option in the individual Medicare marketplace, you won’t find a better partner than Via Benefits. Who are your doctors, and what are your preferred hospitals? What are your 2019 travel plans (if you plan to travel)? What do you like about your current TRS–Care coverage? They’ll take this information and find a selection of insurance plans that meet the criteria you’ve outlined. They’ll review each option, giving you ample opportunity to clarify plan details. Once you understand the plans available in your area and how they compare to your current plan, you’ll be able to make an informed choice about your 2019 coverage. If the advisor’s recommendation is that TRS–Care is the right plan for your needs and budget, the advisor will let you know. If you decide that an alternative plan is a better fit, the advisor will help you complete and submit your application. Is TRTA Being Paid by Via Benefits to Offer This Alternative? No, TRTA is not being paid by Via Benefits. This is an option we support for our members to have the flexibility they may need in their health care choices. As a reminder, be sure to look for the complete article when The VOICE is released! Monday through Friday, 7:00 a.m. until 8:00 p.m.
Last Day to Register to Vote! Today is the last day to register to vote! TRTA wants to see all of its members out at the voting polls. You can register to vote here. Read a special message from TRTA’s Informative & Protective Services committee about the importance of voting! The 86th Texas legislative session begins Jan. 8, 2019. Prior to that, the midterm elections are on Nov. 6, 2018, and early voting runs from Oct. 22, 2018 through Nov. 2. Retired educators will have much at stake when lawmakers come to Austin. TRTA is prepared to go to the Legislature. We are going to fight for more pension funding, benefit enhancements for TRS retirees and improved TRS-Care funding. We are hearing from many of our friends in the Legislature, as well as those seeking office, that the issues related to TRS are important and require resolution. As a TRTA member or supporter, we know you are already doing your part to help us achieve our policy agenda next session. We agree! There are more than 440,000 TRS retirees or beneficiaries. TRTA membership is growing fast, but we still to get everyone on the team, suited up and ready to win. Join TRTA membership and get involved in a local unit—This is the team, we need you on the team! Every coach knows that the team that shows up to work and make things happen is a big part of winning. Plan to vote—no excuses! Many people tell us they need to know who to vote for. TRTA does not endorse candidates. That said, political leaders and legislators and office seekers are showing up at TRTA local meetings right now! Your friends and colleagues are happy to talk to you about this. If all else fails, call the people running for office and ask where they stand on TRS. After the vote, no matter the outcome, be prepared to support the people elected and educate, motivate and push them to achieve great outcomes for TRS retirees. Never, ever, give up. No one can predict what the Legislature will do. Every session is unique and TRTA always plays to win. Our new video series focuses on key issues for TRS retirees. This is a short series of videos with the purpose of informing our members and legislators on issues concerning our annuities and health care program. And the power of a strong defined benefit plan. These issues form the core of our advocacy strategy and the key to retirement security. Retirees across the state will be busy voting for and working with legislators in the coming months. By completing these tasks, we want to see our retirees reap the best possible benefits for their years of service. And we want everyone running for office in Texas to know, understand, and agree that TRS retirees deserve retirement security. TRS Retirees Deserve Better, period! WHY VOTE? Because Retirees Deserve Better! As many of our members know, Mr. Bill Barnes has served on the TRTA legislative committee as its Coordinator and Chair for many years. Working side-by-side with Executive Director Tim Lee, Bill has represented the voices of retirees across the state by making hundreds of visits to the Capitol and meeting with every legislator. Although Mr. Barnes will no longer chair the TRTA State Legislative Committee, he will continue to work with TRTA on legislative matters as a consultant and with Tonna Duke as she transitions into this new and exciting role. Bill is so pleased to welcome Tonna to this position, and knows her dedication, thoughtfulness and intelligence will be great assets to the TRTA legislative team. Hello! 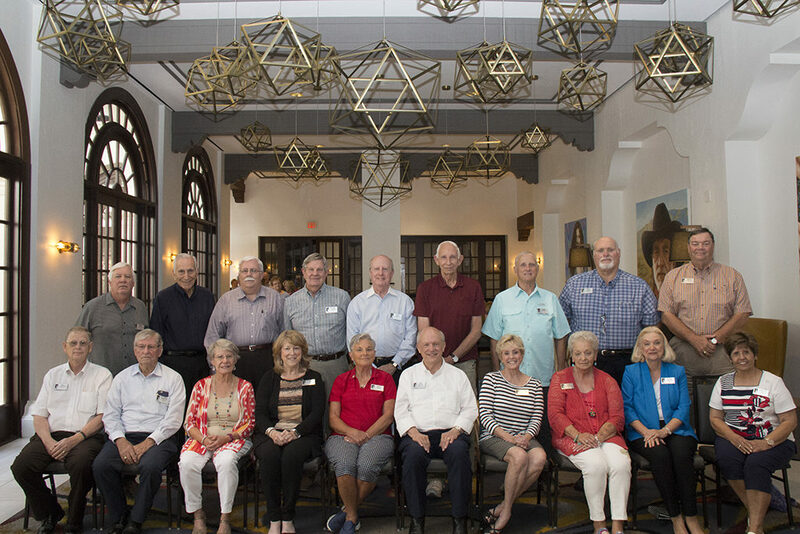 My name is Tonna Duke, and I am honored to have been given the opportunity to serve as the TRTA Legislative Coordinator and Chair of the TRTA State Legislative Committee. This committee consists of 20 intelligent, interested and motivated TRTA members working toward the success of TRTA legislative efforts. Our committee members advocate on behalf of all TRTA members with legislators and candidates at the district level and in the Capitol. A document listing TRTA issues and goals was developed this past summer by members of the legislative committee for use by TRTA members. We must protect the defined benefit plan and funding for the TRS pension fund. There must be a plan for increasing permanent state funding to ensure defined benefits, retirement security and a strong pension fund. We need affordable and accessible health care for ALL Texas education retirees. There is NO long-term funding plan to sustain TRS-Care. The two-year supplemental plan is NOT a permanent solution to our health care funding issue. We must promote an annuity increase for ALL retirees. The cost of living continues to go up, but annuities are relatively stagnant. We support the reform at the national level for Social Security offsets, the Windfall Elimination Provision (WEP) and Government Pension Offset (GPO). Retired Texas educators are penalized under these offsets, and the programs treat retired teachers differently than the rest of the population. Our committee has been busy trying to increase membership numbers to make our unified voice stronger. Our goal is to ensure all TRTA members are registered to vote and are informed and ready to cast their ballots on November 6. We ask that TRTA members consider voting for candidates who will support TRTA’s issues and those who will actively seek solutions for our priorities. TRTA leadership at the district and local unit level are researching, visiting and interviewing candidates and legislators to determine which of those individuals will be the ones who support retired teachers. Please note: The following links are to organizations not administered by TRTA. TRTA doesn’t endorse individual candidates. The links are for informational purposes only. Click here to see a statewide list of candidates for the November 6 General Election. Click the links below to gather more information on candidates running for political office. All districts and local units are using creative methods to help members gather and share information to help them determine who to vote for. I would like to share just one with you. District 13 has developed a chart to record responses received from legislators and candidates. They have published questions for their members to ask those candidates. This is a good tool that local units can adapt to fit their needs. Thank you for allowing me to share information from the TRTA State Legislative Committee. Achieving our goals will take 100 percent of TRTA members participating in our legislative efforts and voting on November 6.